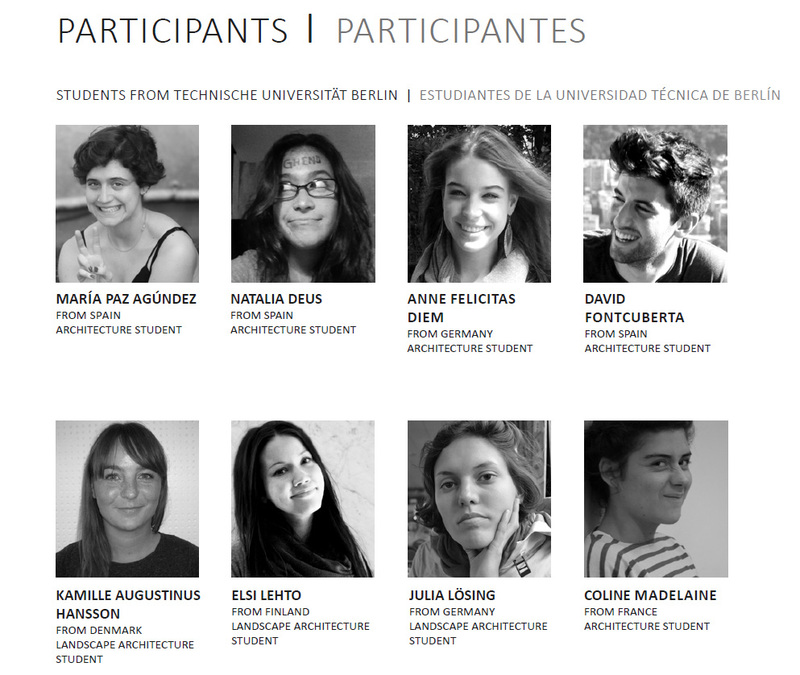 The Mexico Project 2013/14 , Tu-BerlinThe cooperation on this project came about at the “DesignBuild-Studio, New Ways in Architectural Education” symposium in November 2012 at the Technical University-Berlin. I was introduced to Dr. Vazquez who explained about the projects that his organization “Casa de la Ciudad” was working on in the city of Oaxaca, Mexiko. 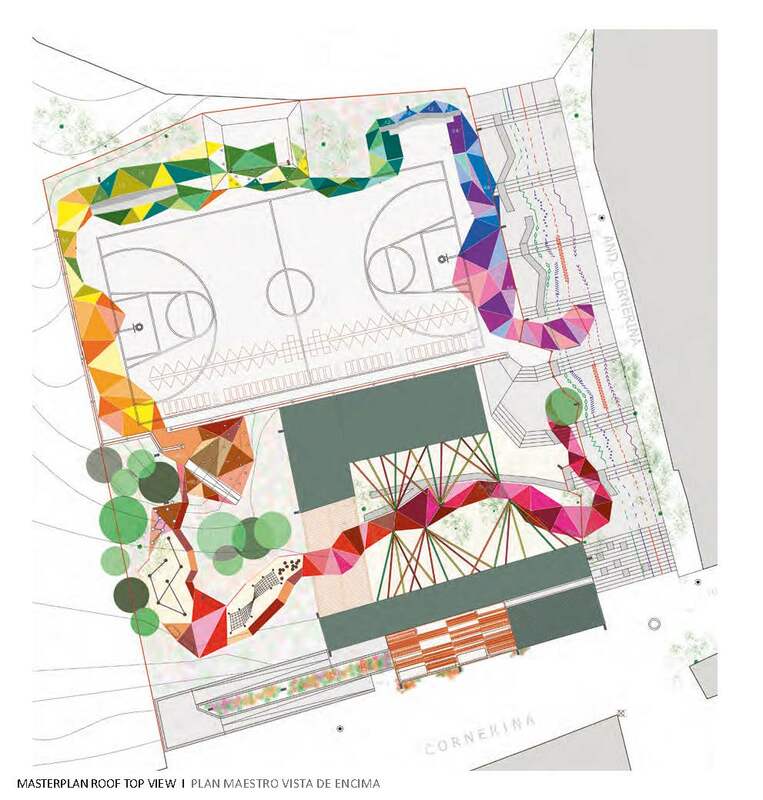 I agreed to support the Bougainvilleas Park project by initiating an interdisciplinary practice workshop for students throughout the Summer Semester of 2013 in order to generate design and detailing proposals for the site. 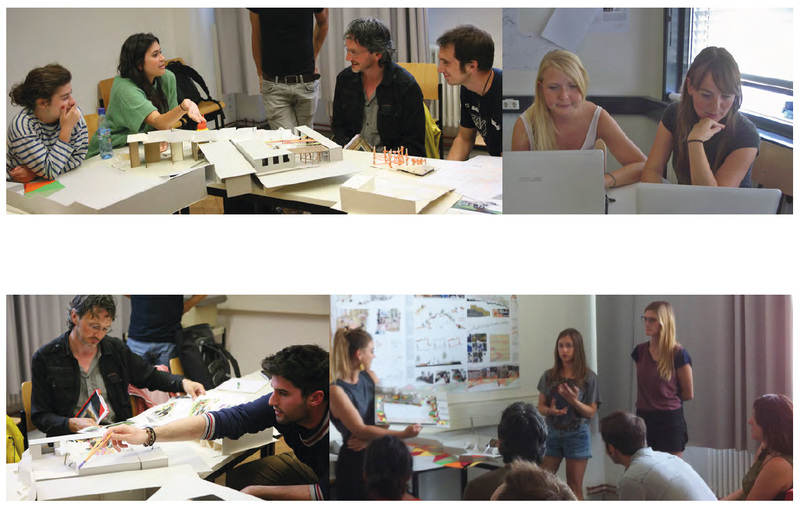 The workshop was open for master students of Landscape Architecture and Architecture at the Technical University in Berlin. 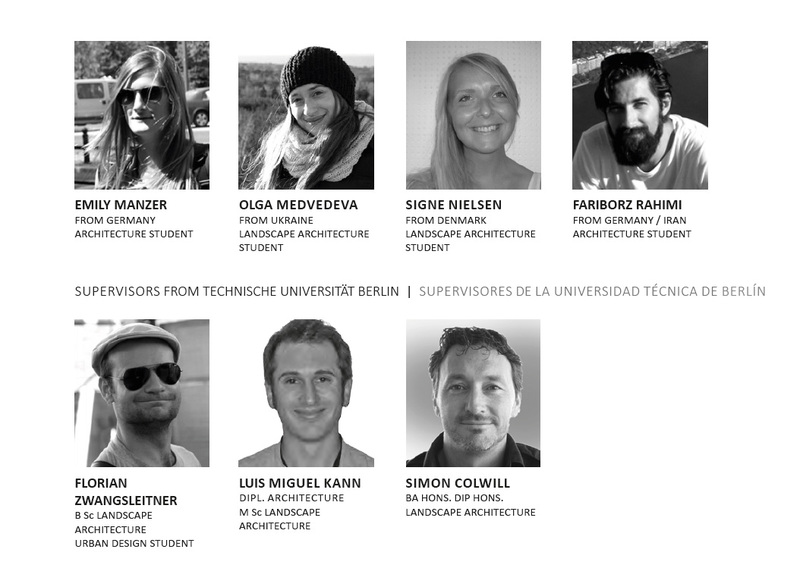 In total 5 Landscape architects and 7 Architects took part. This interdisciplinary design team was diverse with students coming from with Germany, France, Spain, Denmark, Finland and Ukraine. The workshop was supervised by me and my colleagues Luis Miguel Kann and Florian Zwangsleitner. 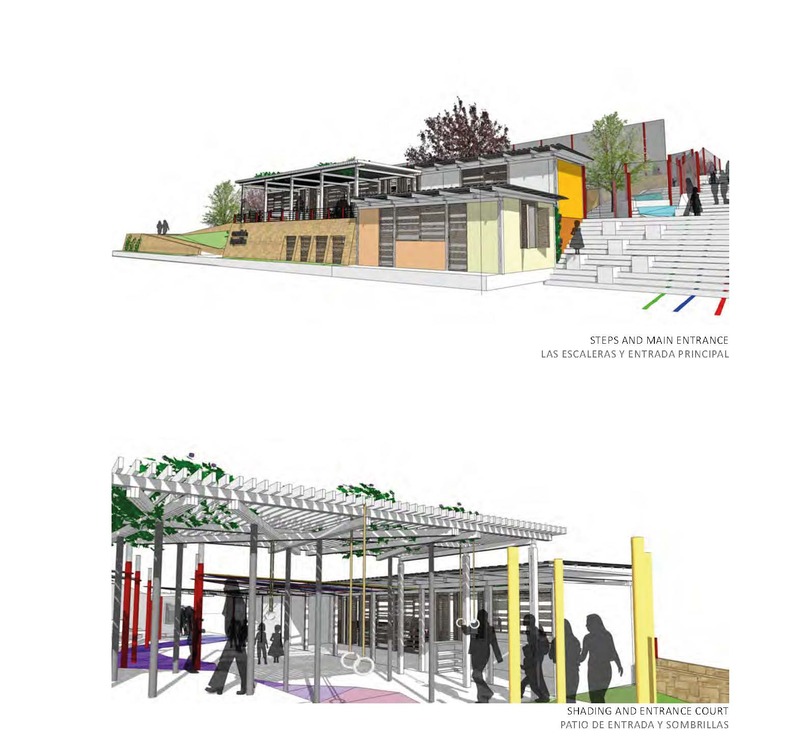 Information about the site, local stakeholders, the neighbourhood and the functional requirements for the park was provided by the Casa de la Ciudad. Our proposals were discussed and revised with them during the design process by means of email and online conferences. We aimed to make our designs intrinsically “Oaxacan” by taking design inspiration from the culture and traditions of the region. 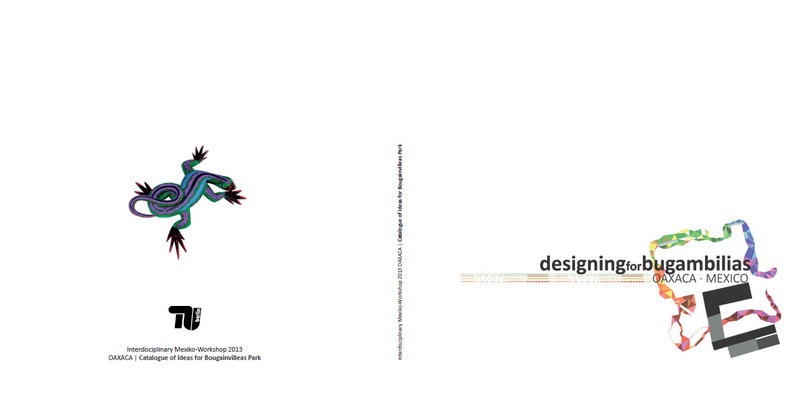 This led to a wide spectrum of inspiring design ideas that were combined to form the final master plan. 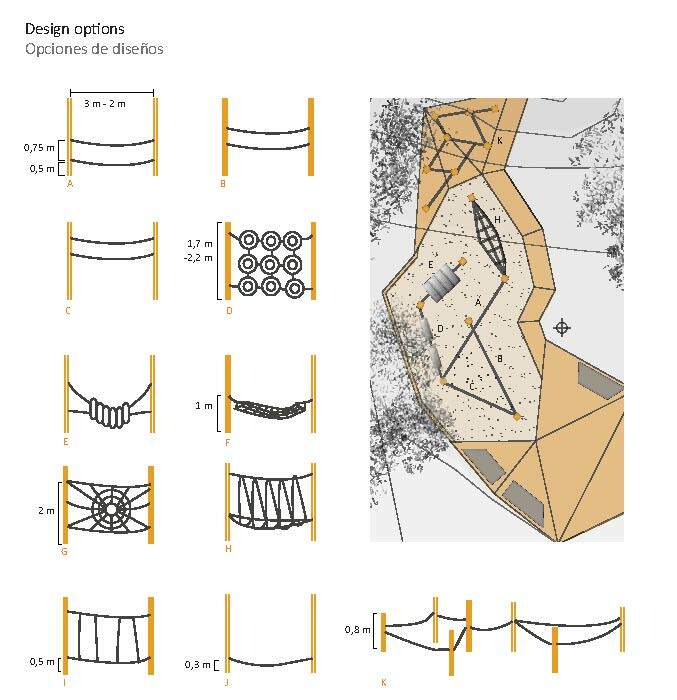 The design catalogue contains a flexible master plan with many variations for the design and construction of the individual elements. 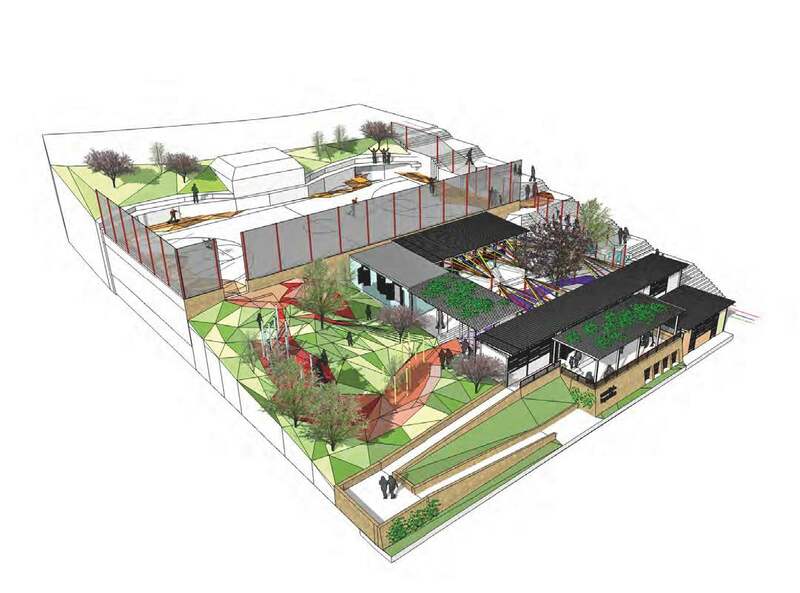 This enables the community to develop the site how they see fit, to adapt and change the design and detailing to meet their needs and desires. Simple constructions were developed to allow for implementation by the neighbouring community. The construction is explained by means of sections, exploded view drawings and model photos that replace the need for conventional highly “technical” construction plans. 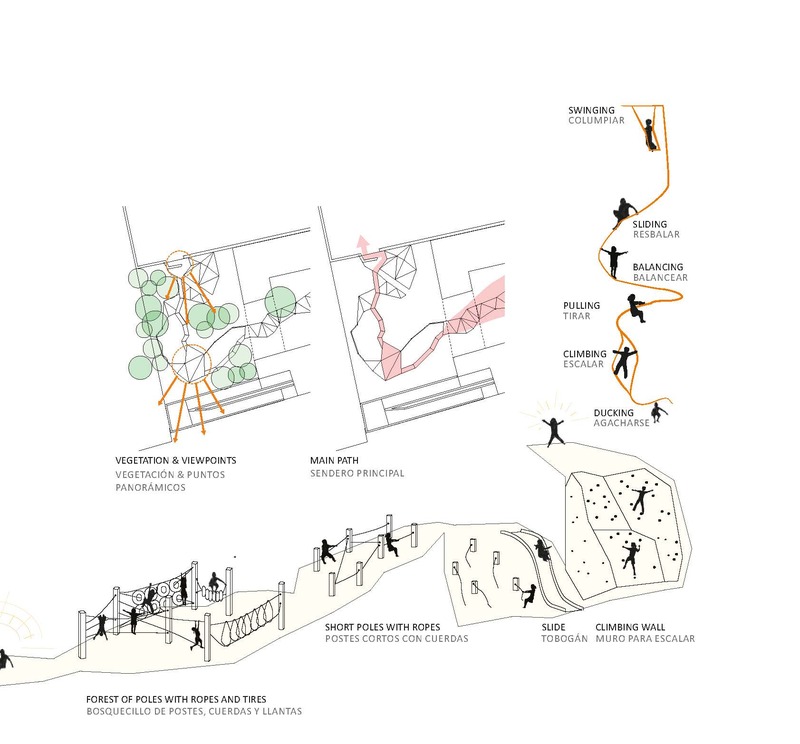 – Research on the site itself, the community, culture, climate, architectural context etc. 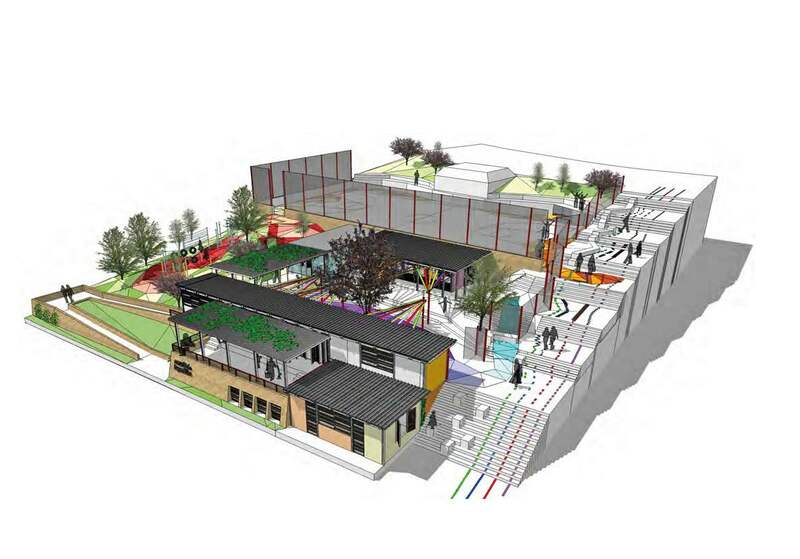 The building works will be implemented mainly by the surrounding community together with local schools and organisations. Some of the project participants intend to assist in the construction phase on site which is due to start once the rainy season is over in August 2014. 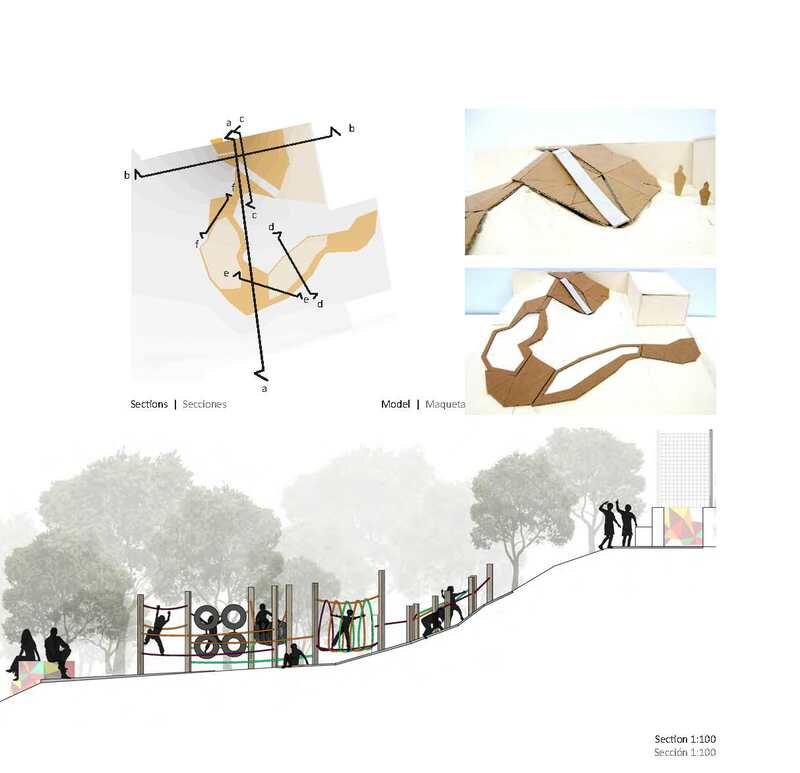 The construction materials for the park will be financed by the Alfredo Harp Helú Oaxaca Foundation. des Studiengangs Architektur an der TU Berlin e.V.